Title: The Night-Doings at "Deadman's"
Mr. Beeson resides in a disheveled cabin in a hard to reach area of the woods and sits in a chair during a cold winter night when he is visited by a stranger. He has a conversation with the visitor that is largely one way (that is, he speaks to the guest in a conversational way but the guest says almost nothing). Beeson invites him in and begins to tells some of his history. He discusses his past experience and strange doings in the area and how it might be a bit haunted. He explains that when he and friends were here previously, they had a Chinese servant who had died in the midst of winter. He claims that the servant came to his natural death, but this is not entirely clear. He explains also that before burying the servant, they cut off his ponytail and apparently, this prevents the servant from moving into the afterlife. He had since nailed the tail to the wall and though the servant still comes back for it, Beeson refuses to give it up. Eventually, the two decide to go off to bed. Beeson places a gun in easy reach for both of them should they need it during the night. After they fall asleep, something crawls out of the trapdoor. It is the servant and as he makes his way in the room, the visitor awakes, reaches for the gun and shoots. The shot doesn't keep the servant from grabbing his tail and descending back into the trapdoor. When the cabin is explored in the spring, they find the body of Beeson who was killed when the gunshot ricocheted off a part of the wall and struck Beeson. It happened to ricochet off the part of the wall where the tail used to hang. 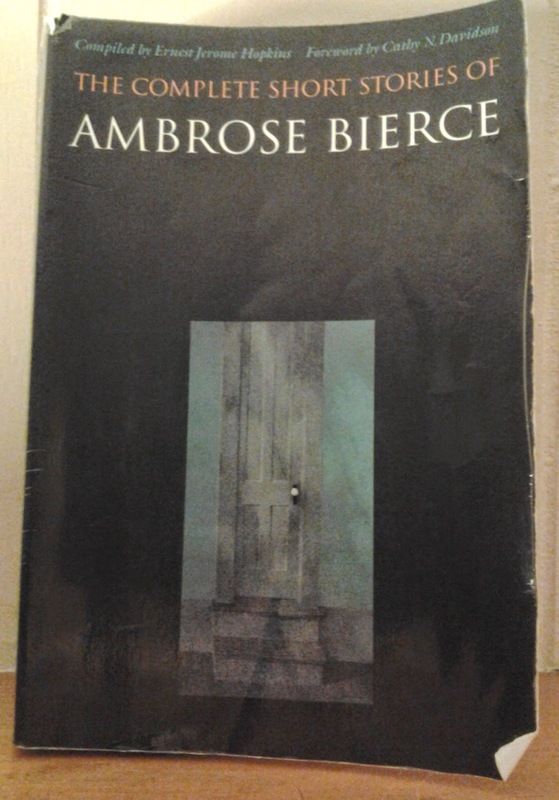 The tale contained a bit more meat some of the previous tales I've read thus far of Bierce. I thought the premise (abandoned cabin in the woods) was standard but the idea of Beeson rambling on to a stranger who never replies is what made the tale more compelling than others. There's an element here of the confessional akin to Telltale Heart or Black Cat, but with Beeson, it's stranger because it comes almost unsolicited and often, we have to wonder if he is even telling the truth to himself.